This gala is designed to give our younger, and newer, swimmers (Proud, O’Connor and Guy squads only) experience of competing in a fun and friendly gala environment. We encourage every eligible swimmer to enter this gala, regardless of age or ability. 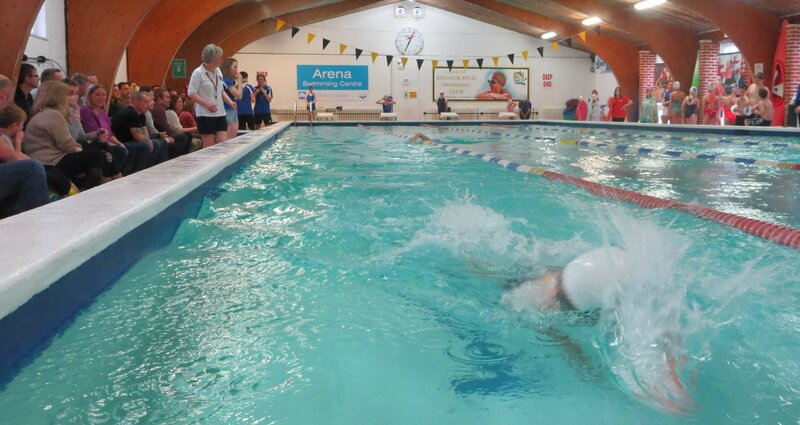 Most swimmers swim in 4 or 5 events which are 25m all strokes and 50m Freestyle. As this is a teaching gala the swimmers will be talked through the gala procedure for each stroke, including demos from senior swimmers. As the gala is mainly run by senior swimmers anyone wishing to help run the gala this year please click here. Ribbons will be awarded for 1st to 6th places, boys and girls in four age groups: Age 7 & under, 8, 9 and 10 & over. ‘I swam at the gala’ ribbons will be given to swimmers who do not win any other award.